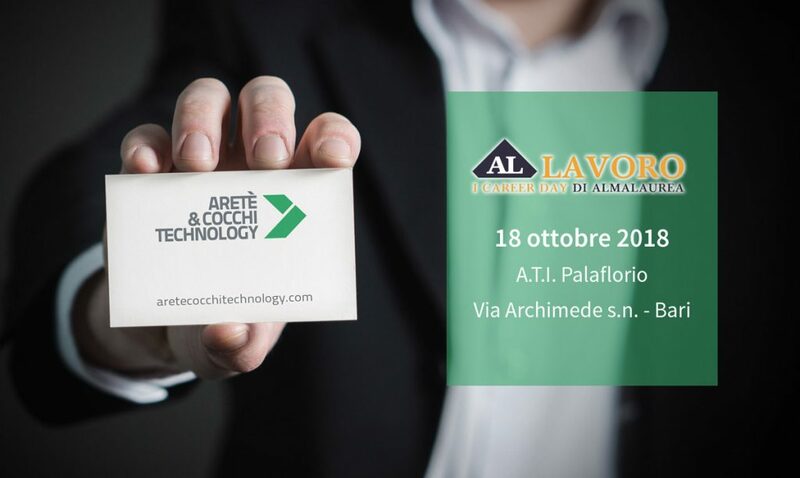 Aretè & Cocchi Technology continues in its relentless pursuit of new talents, seeking to grow progressively. People are the core of all Business Units, in which both the young and the most experienced cooperate on a daily basis. The company’s effort to reach a contact point with graduated students reflects the will to be close to young talents. If you’re a recent graduate looking for new opportunities, come find us at A.T.I. Palaflorio in Bari on October 18. We’ll be glad to meet you!